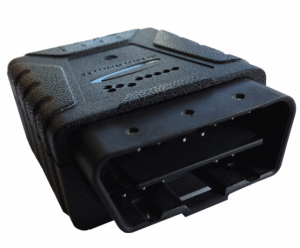 The DigiCore Australia OBDII unit is a self-install vehicle monitoring system for cars and light commercial vehicles that can be fitted within a matter of seconds. 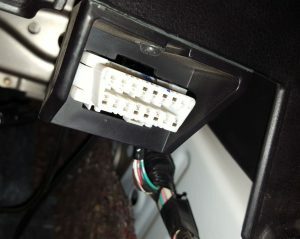 This tracking solution connects quickly and easily to the OBDII diagnostic port of the vehicle, from where it captures telematics data that will not only provide a simple way of monitoring assets and protection against misuse, but also enable you to ensure your vehicles are being driven responsibly. This unit is ideal for a range of applications where a hardwired tracking solution may not be suitable, such as rental vehicles which are regularly replaced or used by subcontractors. The OBDII plug-and-play unit comes as part of our comprehensive and internationally acclaimed C-track package: a high-end IVMS and GPS base system with easy and intuitive online access, complemented by multiple reports. All major aspects of IVMS are covered: speeding, harsh driving, excessive idling, geofencing, vehicle servicing reminders…all coming from a unit a fraction the size of a mobile phone! Add to that our highly customised applications and reports, and the OBDII plug-and-play unit becomes a valuable member of our already comprehensive family of GPS and IVMS products. Having Digicore Australia manage your vehicles has just become a lot easier: these units cost less and don’t require a formal installation process: simply plug, and play: it’s the new name of the game!